You need a set square & a mannequin, or body. Put your dress on the mannequin or body if you don’t have a mannequin. 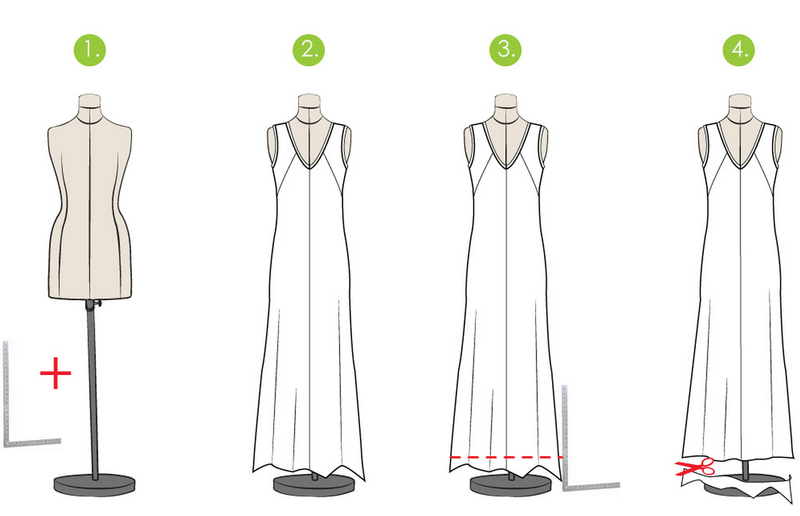 Cut along the dotted line and hem the dress. You can lay the dress flat on a table and cut along the chalk line.